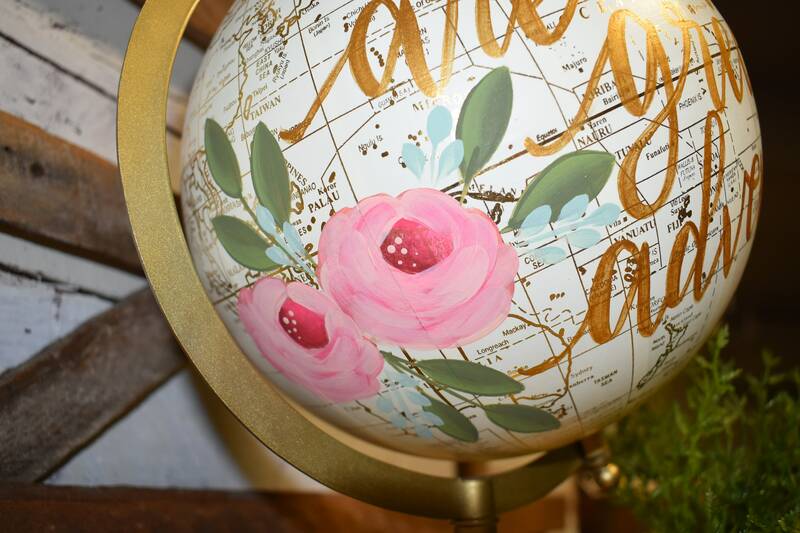 Hello and welcome to the Whimsy Brush! 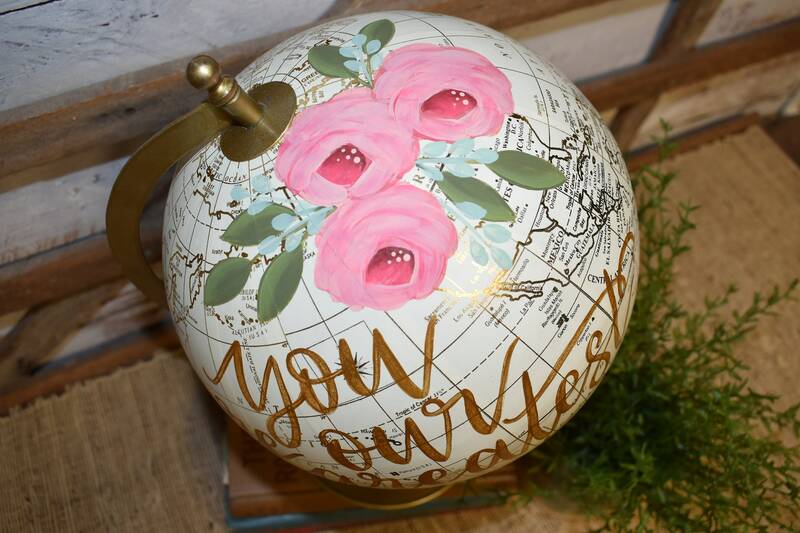 "Hand Painted"! 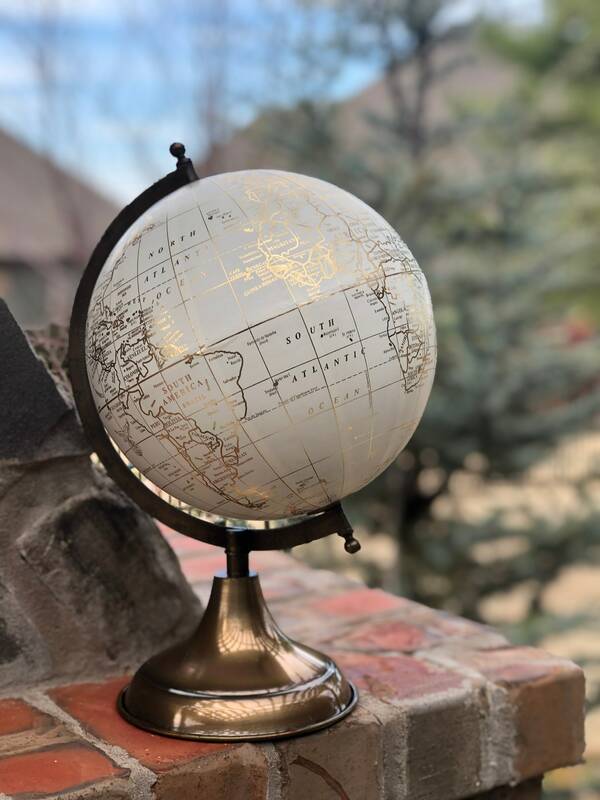 This globe comes in a cream/white and metallic gold color combination with a metal antique gold stand. 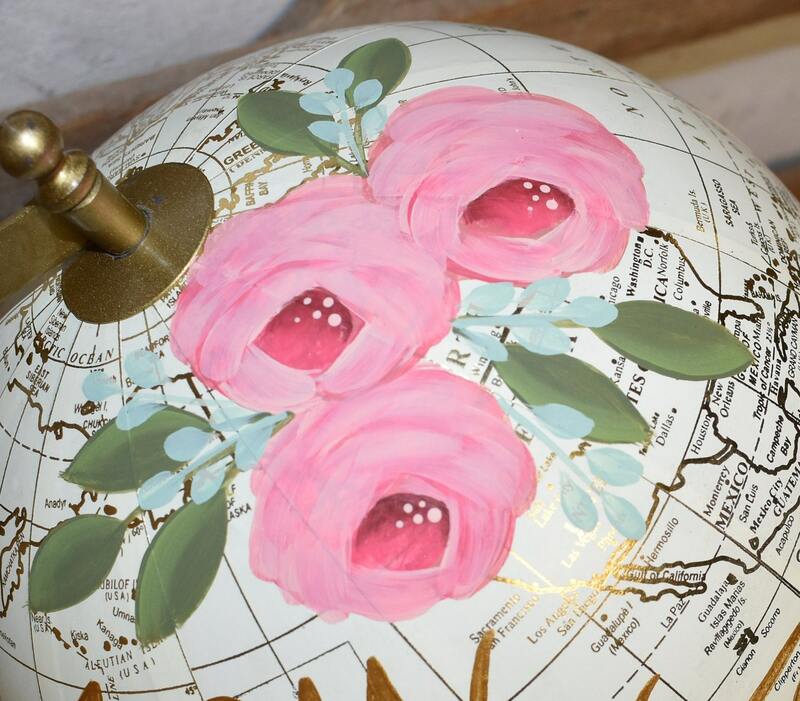 This globe can be customized or purchased as shown in the listing examples. 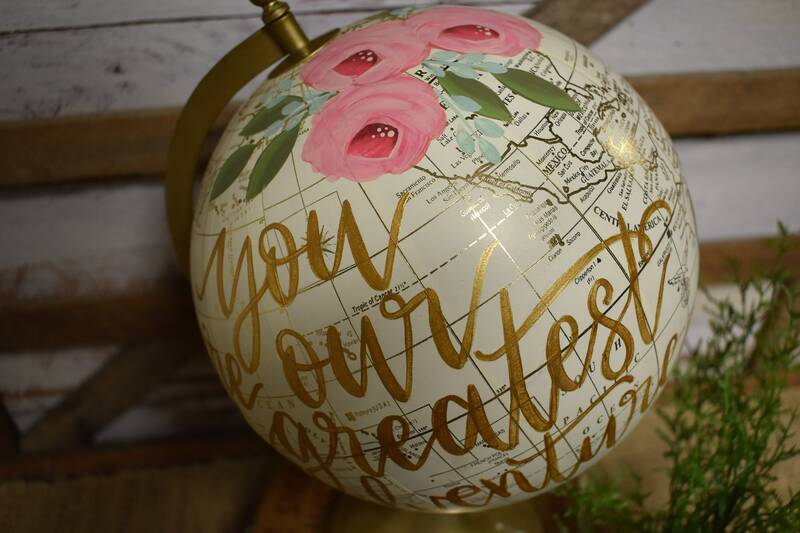 This example shown has lettering in metallic gold with florals added in shades of soft and brighter pink, foliage in shades of greens. 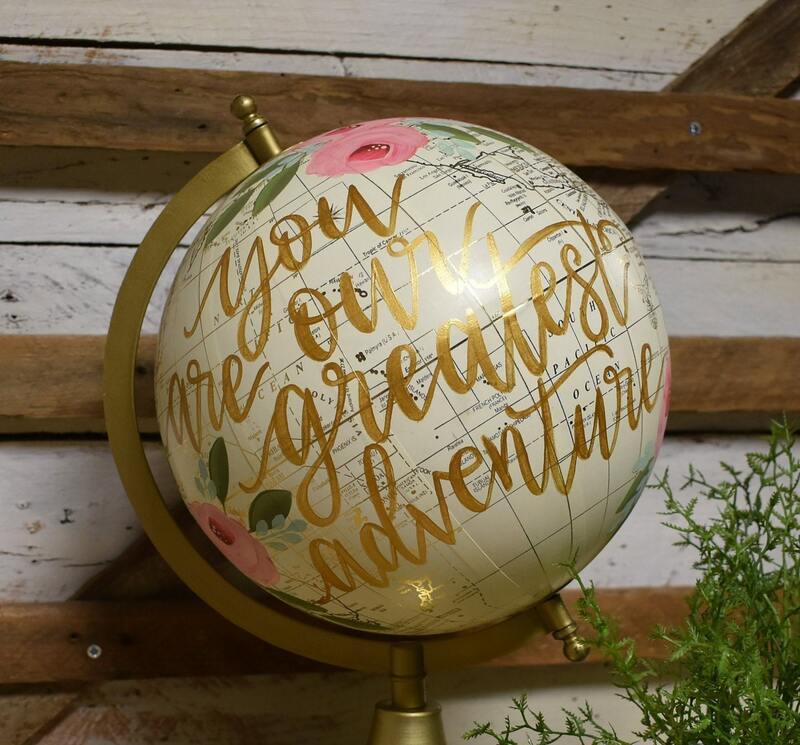 You can customize this globe with a different verse/quote and different floral color palette. Please message me with your custom requests and I will be happy to work out the details with you. Cost could vary depending on amount of lettering requested. Shorter quotes, names and dates, and short scripture verses work best. 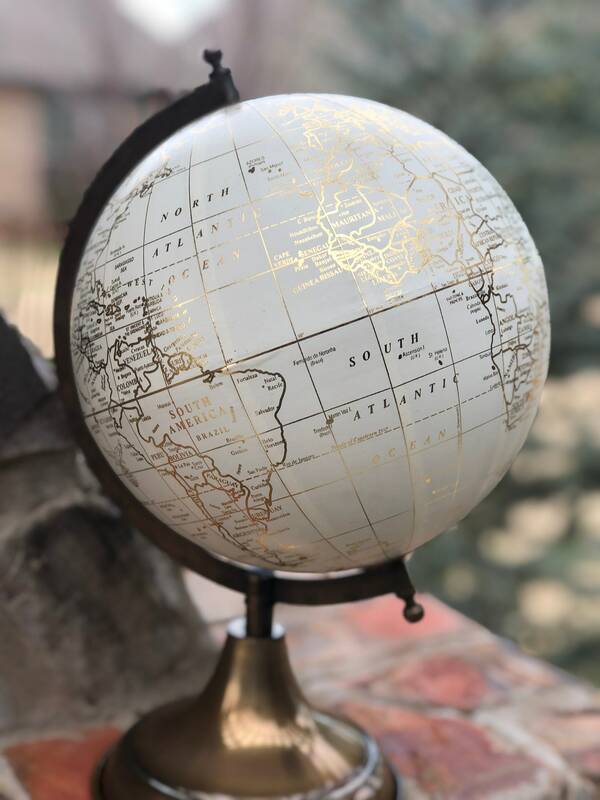 Total height of globe is approx. 13" tall and 8" across.